Charlie was saved from the grip of the kill buyer at Mikes Auction in November 2016. He wasn’t in the best condition & he was lame upon arrival. With an exam & x-rays, it was found that he has navicular. We have found that with normal navicular maintenance, he stays sound to ride regularly. He does have a couple limitations but he makes up for it with his big personality! 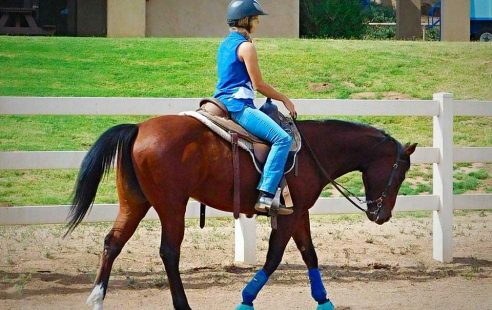 He will require a light rider (150 lbs or less) who wants to do flat arena work (not a ton of canter work, no hard turning, etc) and/or mostly flat trail riding. Charlie is a silly boy who would love to have his own person. He ties/cross-ties, clips, bathes, loads & is good for the vet & farrier. He is UTD on all care. He is good with other horses & does well both stalled & in a pasture. He has extensive exposure to heavy machinery, loud noises, vehicles & farm animals. He is a fun ride with smooth gaits. He moves off of leg, direct & neck reins, side-passes & turns on haunches & forehand. He is a smart guy who is comfortable in the arena but also enjoys going on the trail.